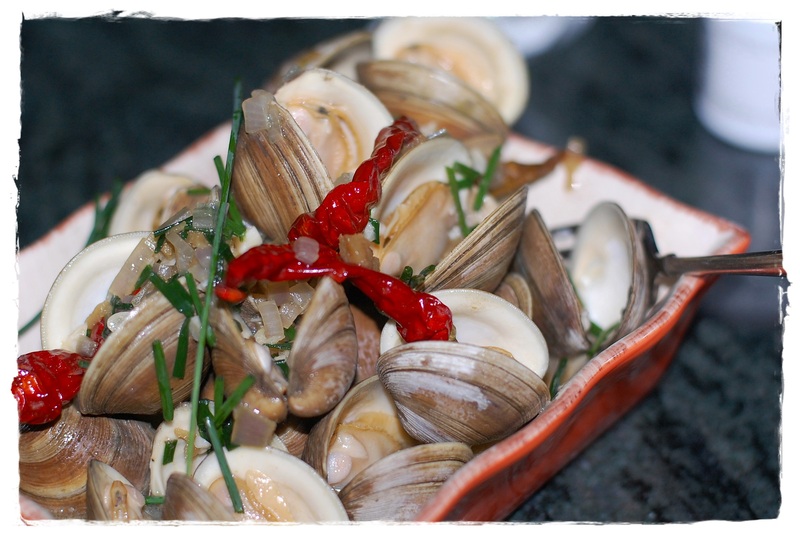 I’m trying to get through a file of recipes to try and last night’s result was an entirely different flavor profile for clams as I improvised and tried a Malaysian-style …I love it and by now y’all should know that I have a bowl of clams at least once a week. There is just something about those sweet tender little necks straight from our coastal waters that I love and they never disappoint no matter what recipe, just cook them properly (as soon as they pop open) to enjoy. Add everything to a large sauté pan or wok; toss all of the ingredients, cover, turn burner on high and watch closely. 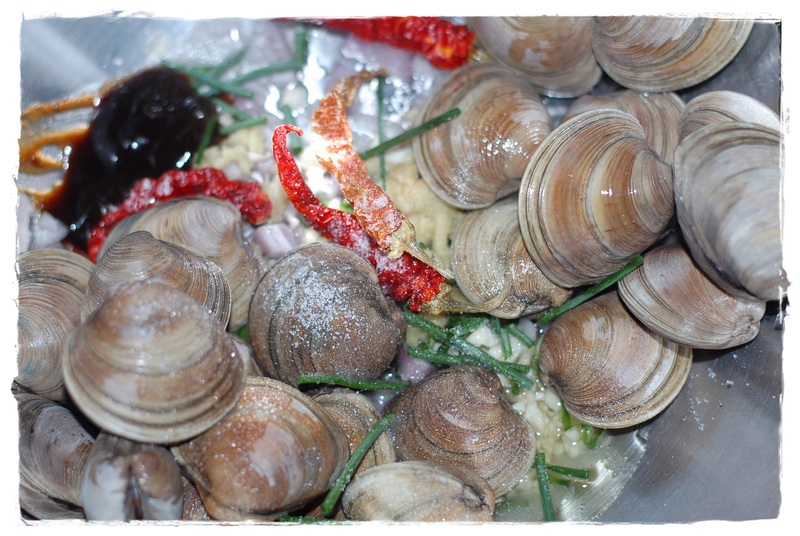 Pluck out each clam as they open, place in serving dish and when all of the clams have opened, pour pan juices over clams. Can serve sticky rice or green tea noodles with the shrimp, drizzle some of the broth over rice or noodles.